5th Annual Dia De Los Muertos Carpinteria Festival ~ where the community and our surrounding communities come together to honor and celebrate our loved ones whom have passed <3 Join us! FESTIVAL PARADE- 2018!!! Sunday, November 4th 4:00 pm beginning at the Carpinteria Train Station parking lot. Face painting and henna design begins at 2:00. Public invited to join! The Parade is lead by Aztec Ceremonial Dance Group, Kaipulli Huitzlin Ihuan Xochilt. Welcome!!! Post Parade Celebration 4:30 - 6:30 Giovani's partking lot on the corner ofLinden and Carpinteria Avenues.Live Community Mural to participate in, Altars on display, Vendors, Authentic Food and Wares! FREE and for the entire family! Call For Artists for 2018 Art Exhibit, Email - lisathomas000@gmail.com or call 805-636-5693. 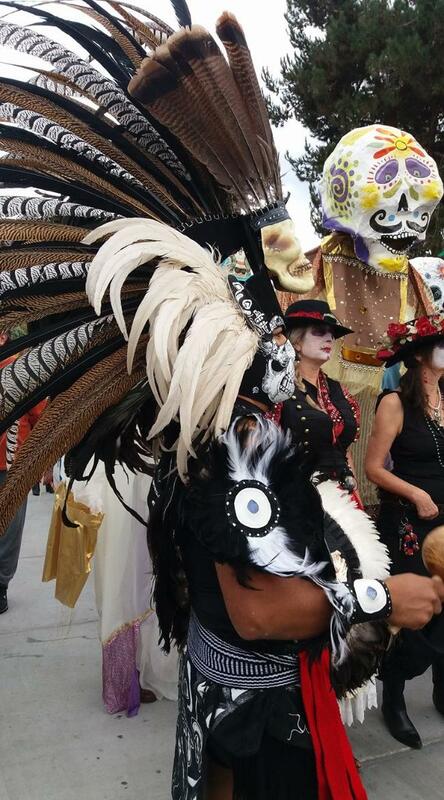 Dia De Los Muertos Carpinteria Festival ~Watch our Promo videos!!! PARADE - Lead by Aztec ceremonial dancers, Kalpulli Huitzilin Ihuan Xochitl. Visit our Facebook page for pictures of the event!! !